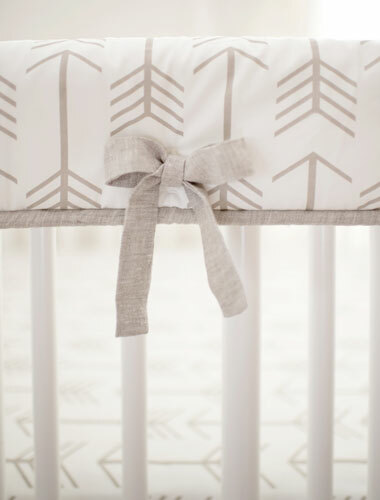 Soft and crisp, this arrow crib bedding rail guard set is perfect for a unisex, baby girl or baby boy's nursery. 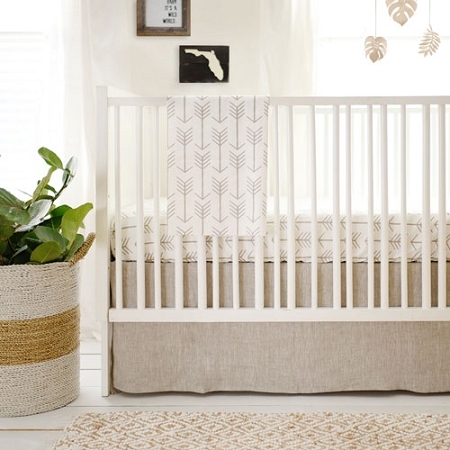 Our Be Brave Arrow Crib Bedding Collection features a 100% linen tailored crib skirt to add texture, and a cotton arrow crib sheet, which is whimsical and fun. 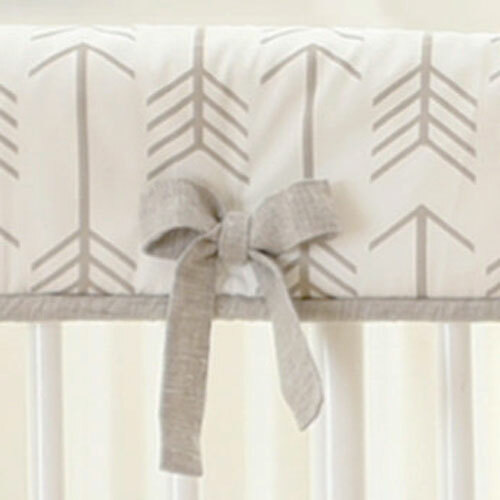 Arrow crib rail cover is accented with natural linen cording and ties. 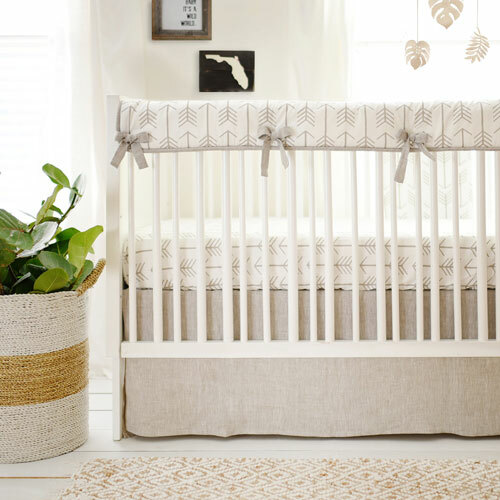 Brighten up this arrow baby bedding collection by adding in pops of color with accessories or greenery with plants. 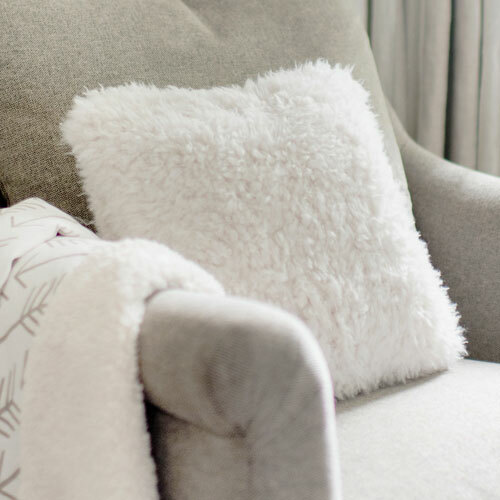 The coordinating arrow baby blanket is soft, cozy and backed in our super soft sherpa fur fabric. 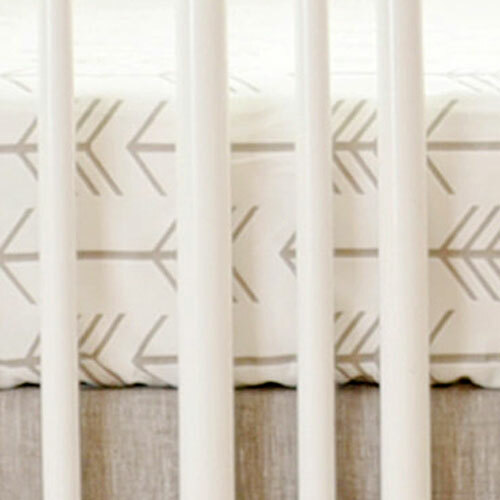 • Arrow Crib Rail Cover Dimensions: 51" long by 11" deep. 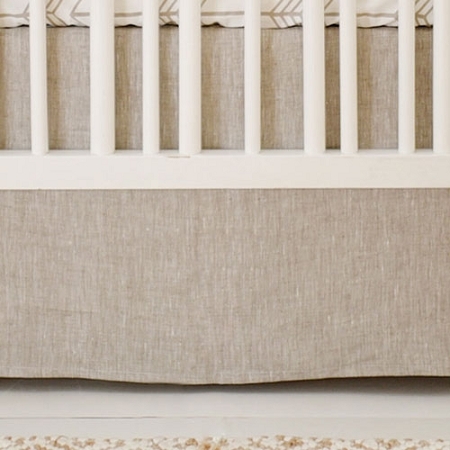 Our crib rail guards fit most standard size cribs (if you are unsure if your crib is a standard size, please contact us before ordering. 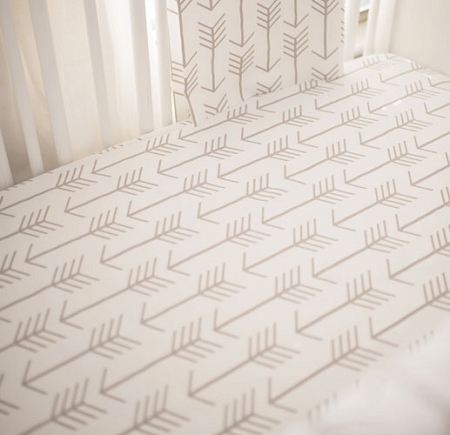 Custom made or monogrammed rail covers can not be returned). 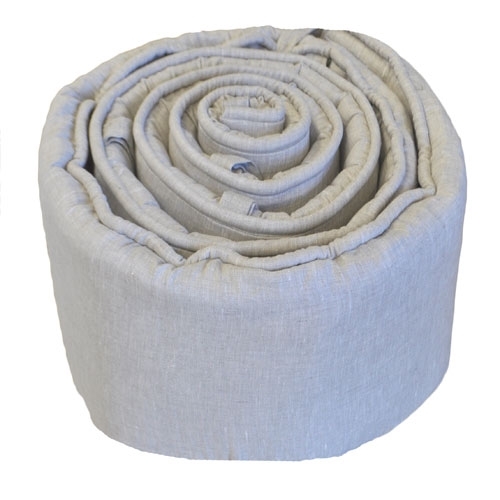 • Arrow Crib Blanket is 36" by 36" and backed with our fluffy sherpa fabric. 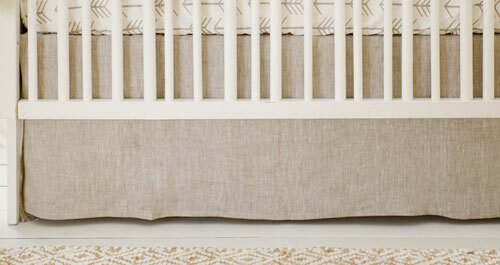 If you prefer a crib bumper for this set, see our Natural Linen Crib Bumper. 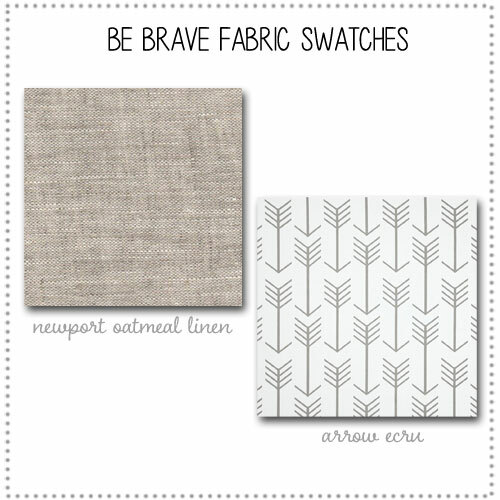 Order free fabric swatches for this collection here. 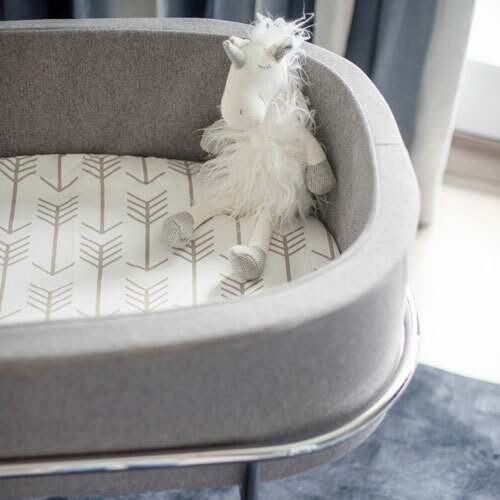 Also see this collection in gray: Be Brave in Gray Crib Bedding Collection. 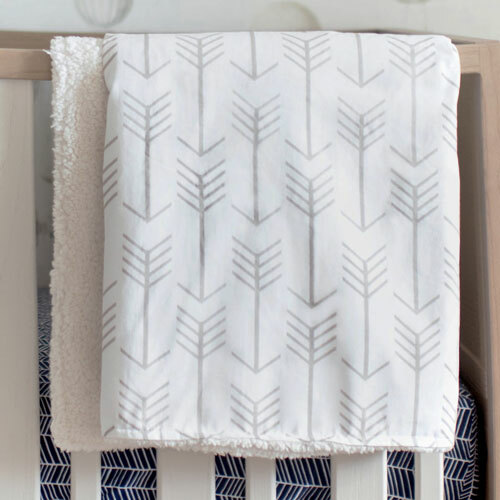 Coordinate your arrow crib bedding with accessories shown below. Absolutely love my crib set. 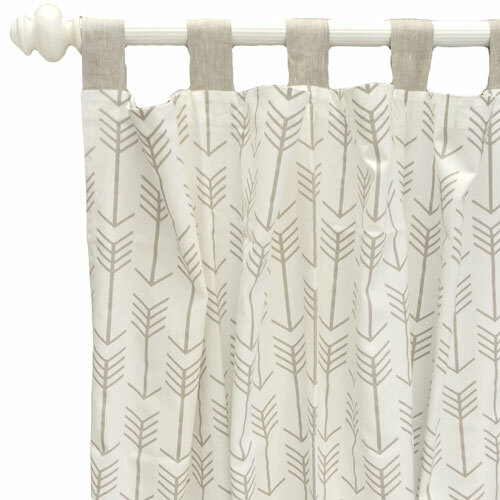 This is the only neutral bedding I could find that I like. Seems like really good quality!